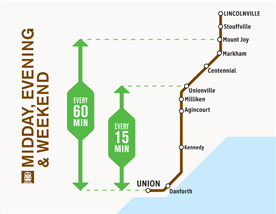 Today, GO Transit’s Stouffville line provides weekday rush-hour train service between Lincolnville and Toronto. 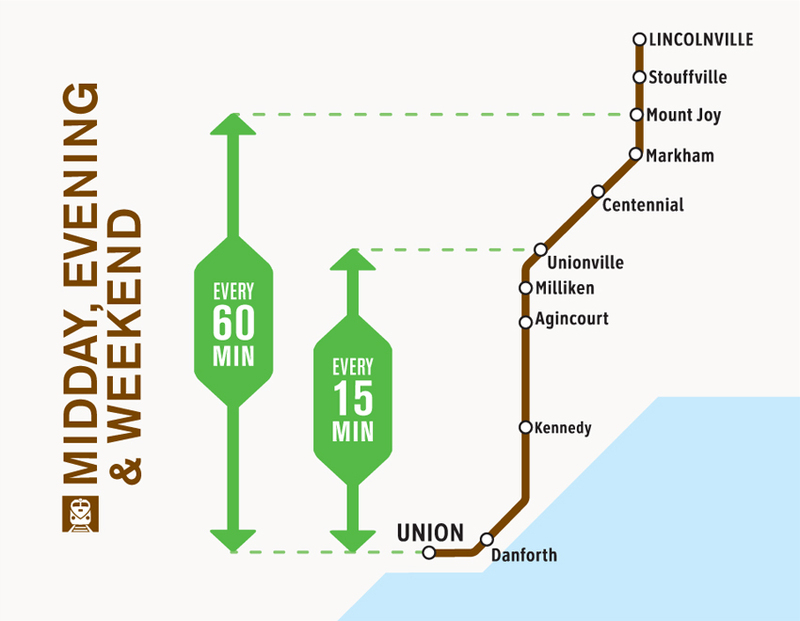 Trains run south in the morning, and north in the afternoon. 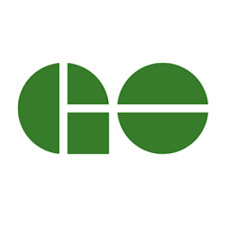 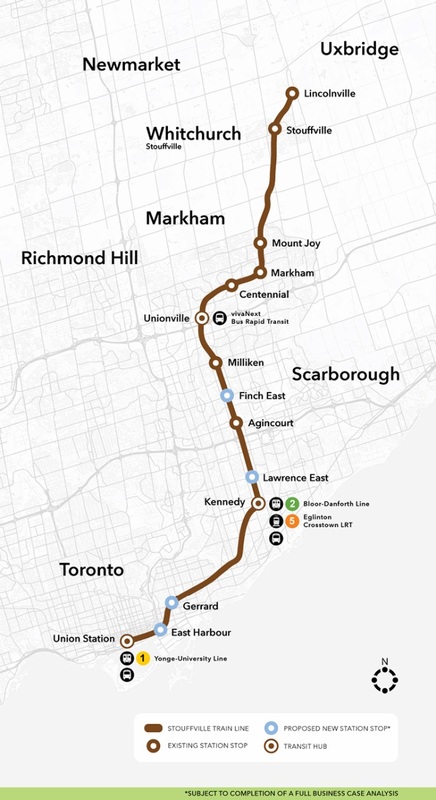 Now, through its Regional Express Rail project, Metrolinx is embarking on a massive transformation of the existing GO rail system to deliver a whole new rapid transit experience to your community. 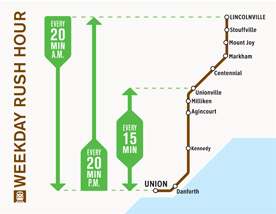 With frequent two-way, all-day train service 7 days a week, you’ll have more options to get you where you need to go.